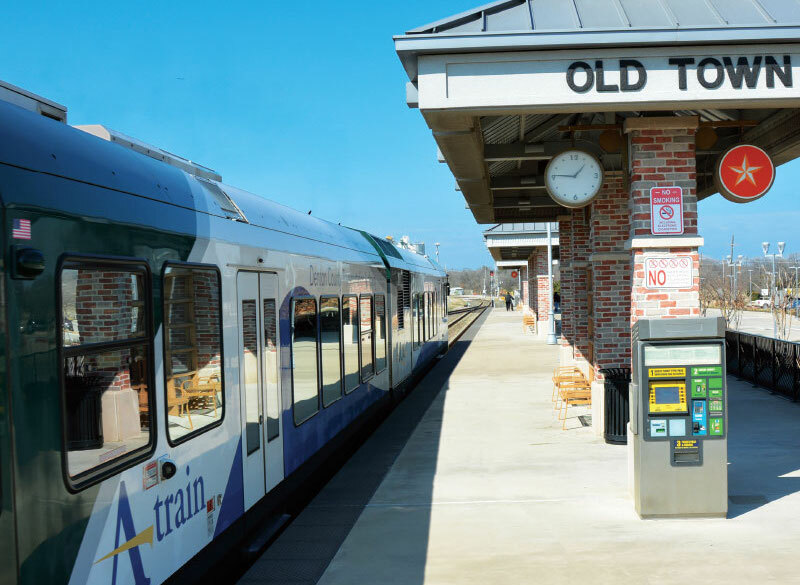 Seven years after its inception, the Denton County Transportation Authority’s A-train has proven it has a multitude of economic benefits to its member cities—Lewisville, Highland Village and Denton, according to case study results by consulting firm The Antero Group. The A-train, which is funded from a one-half percent sales tax from its member cities, is a 21-mile rail system connecting Denton to Lewisville. DCTA has five stations—three in Lewisville and two in Denton. The results revealed the A-train is good for business, having attracted new professionals, spurred millions in new market investment, increased quality of life and provided a competitive advantage for its member cities to attract new businesses. DCTA President Jim Cline said the study was done to analyze the true extent of what the train brings to the region. Antero Group Principal Eric Neagu said since 2011 areas within a half-mile radius of a train station have seen a combined total of $1.3 billion in increased property value. “When you compare that amount to the $347 million it cost to construct the A-train, that’s a significant return on investment,” he said. Through transit-oriented development around the A-train, Neagu said the train has created new property and sales tax value that has already begun to recoup the capital and operating costs of the system. Neagu said the A-train has spurred $11.8 million in new property and sales tax revenue for DCTA member cities since it opened. Click Here to view original article on communityimpact.com.